Olive ash, doors in natural paint, powder-coated steel. 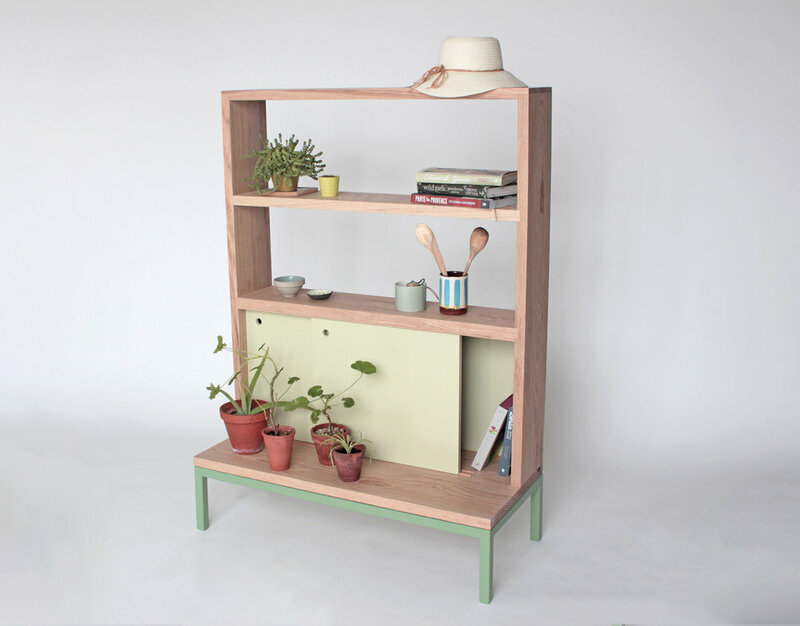 The idea behind the Planters Dresser is beauty in simplicity and the joy of a slower life. Made with beautiful solid olive ash planks, full of character, the construction method used is pared back with no fittings used. The doors are painted with Benjamin Moore’s Advance range which is an environmentally friendly and natural finish which is made with a low- VOC formula. The dresser creates a space within the home for plants or even a place to sit and take a few minutes to yourself. The shelves can display a selection of your favourite and cherished pieces or the ordinary objects of everyday life. The little terracotta pots, originating from France, were picked up at The Store Yard salvage warehouse in Portlaoise. They came with beautiful healthy Geraniums. Potted by Billy, aged 83, Grandfather of one of the owners, the originally snippet was taken from a plant in 1969; the story of which inspired the name of this piece.